Cambridge — There is a chilly drizzle outside but the air is warm with spices at the Tex Mex Eats pop-up dinner inside Petsi Pies here on a recent Monday night. 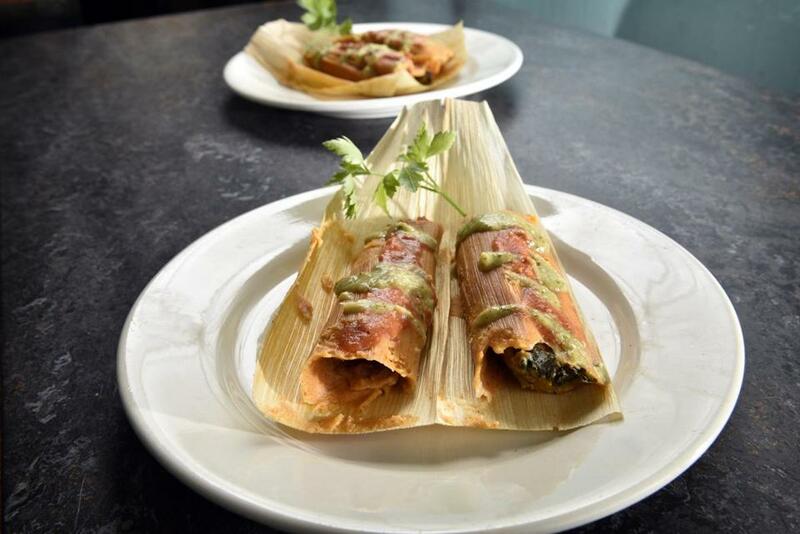 From the time the door opens at 5:30, there is a steady stream of diners, some already familiar from farmers’ markets or previous pop-ups with chef Amanda Escamilla’s tamales, salsas, and other specialties. All seem happy to be here. “This brisket melts in your mouth,” says Cambridge resident Joann Martin, who attended a previous pop-up. That would be Texas-style barbecue brisket. One of Martin’s tablemates, tending to her toddler who would rather not discuss what he is eating (he has been taught not to talk with his mouth full), decides to add an order of it to the tamales already on the table. Escamilla is in constant motion, supervising food preparation, delivering orders, and greeting guests. Her team huddles in the small food prep corner behind Petsi’s glass display case. Elmer Sanchez, whom Escamilla calls her “right-hand man,” and Nairoby Lopez plate orders, and Candace Blackwell rings them up on an iPad. Lopez and Blackwell, who are in the culinary program at Newbury College, have been interning with Escamilla since January. Sanchez worked with her at East Coast Grill for 17 years. Petsi’s has a 30-person capacity, but Escamilla has prepared enough for 100. Before the night is over she will run out of tamales. But that just means the crowd likes the food. Escamilla (center) instructs interns Nairoby Lopez and Candace Blackwell in tamale making. A lot of restaurants claim the Tex-Mex label, but this is the real deal, prepared by a Mexican-American woman who grew up in Corpus Christi, Texas, the oldest of nine. “My mom and my grandma are my inspirations,” Escamilla says. She uses many of her mother’s recipes, but puts her own spin on them, creating what she calls “Texachusetts” flavors. She buys most of her meat and vegetables from local farms and farmers’ markets, but still relies on trusted sources from her youth for Mexican oregano, smoked paprika, and corn husks for tamales. “I know exactly where my mom got them and that’s where I go, too,” she says. Escamilla arrived in Cambridge in 1984, when she was 17. Two of her older brothers and a cousin were living in the area. Planning to finish high school, she quickly realized that paying the rent took priority. “I was in culture shock,” she says. But within a week, she had landed three restaurant jobs. 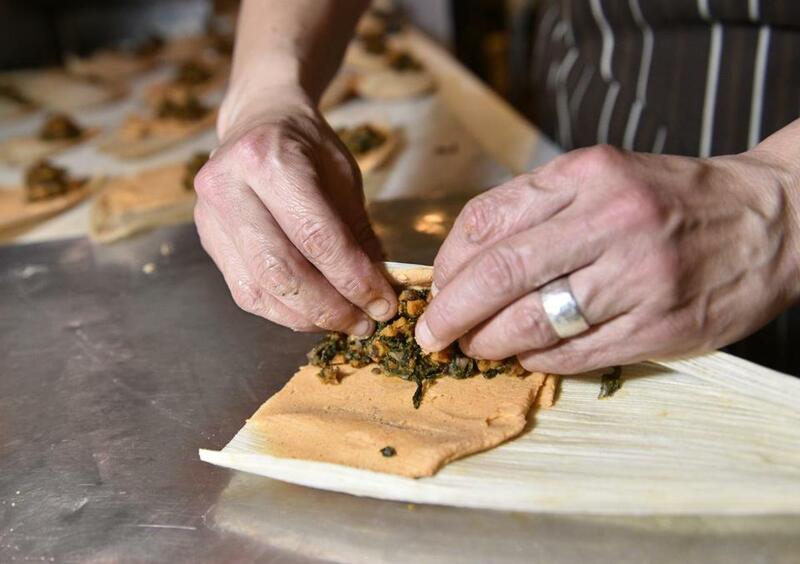 Escamilla rolls farmer's vegetarian tamales. A couple of years into the job, she approached former owner Chris Schlesinger with a request to make some of her recipes for the Sunday Latin brunch. That was the start of her professional cooking career; she stayed there for 17 years. 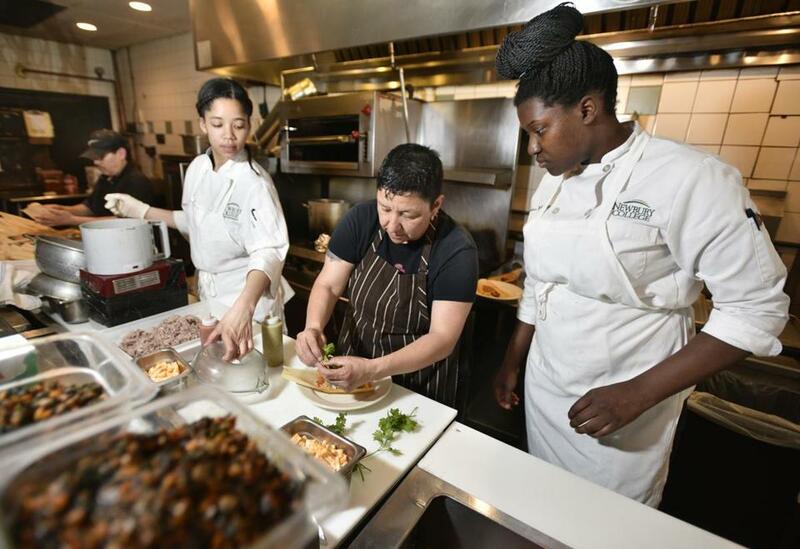 After college, Escamilla began working as a bilingual counselor in the Violence Recovery Program at Fenway Health, still cooking in her spare time. When her wife, Liz Solomon, became pregnant, Escamilla adjusted her schedule to be with her family. The couple’s twins, Elijandro Gavriel and Adelina Rose, are now 10. Two years ago Escamilla decided to start her own business and live out a dream. The menu is consistent with her desire to “be authentic, stick to my roots.” She sells three kinds of tamales and salsas at farmers’ markets, and offers more extensive pop-up and catering menus. 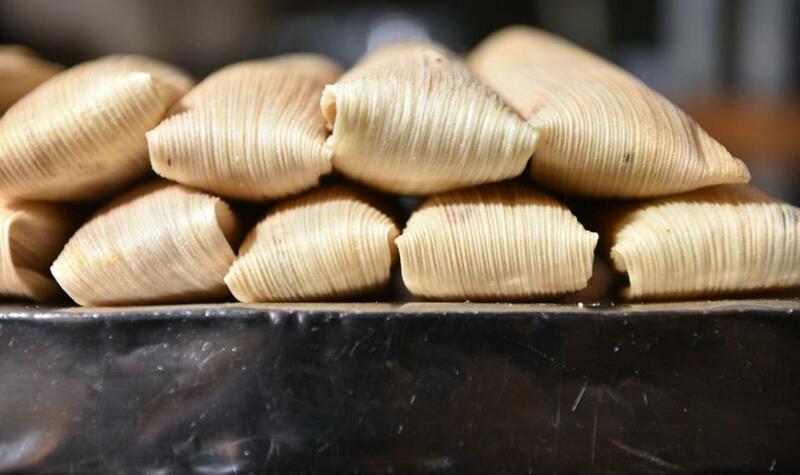 At markets, Escamilla engages in a bit of Tamal 101 for first-timers. Some people are not sure whether they should eat the husks (they should not). “I didn’t want people to experience them in a bad way or in a way they don’t know what to do,” she says. Kind of like bringing the food of your childhood with you wherever you are. A stack of farmer's vegetarian tamales.